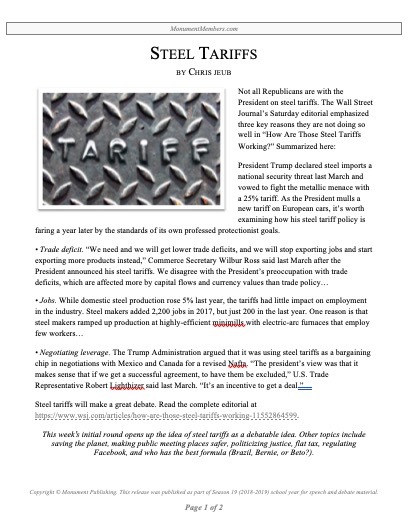 This week’s initial round opens up the idea of steel tariffs as a debatable idea. Other topics include saving the planet, making public meeting places safer, politicizing justice, flat tax, regulating Facebook, and who has the best formula (Brazil, Bernie, or Beto? ).